This is the first time I cooked this dish and I do not know much about the dish. However, after assessing its ingredients, I have decided to give it a try. 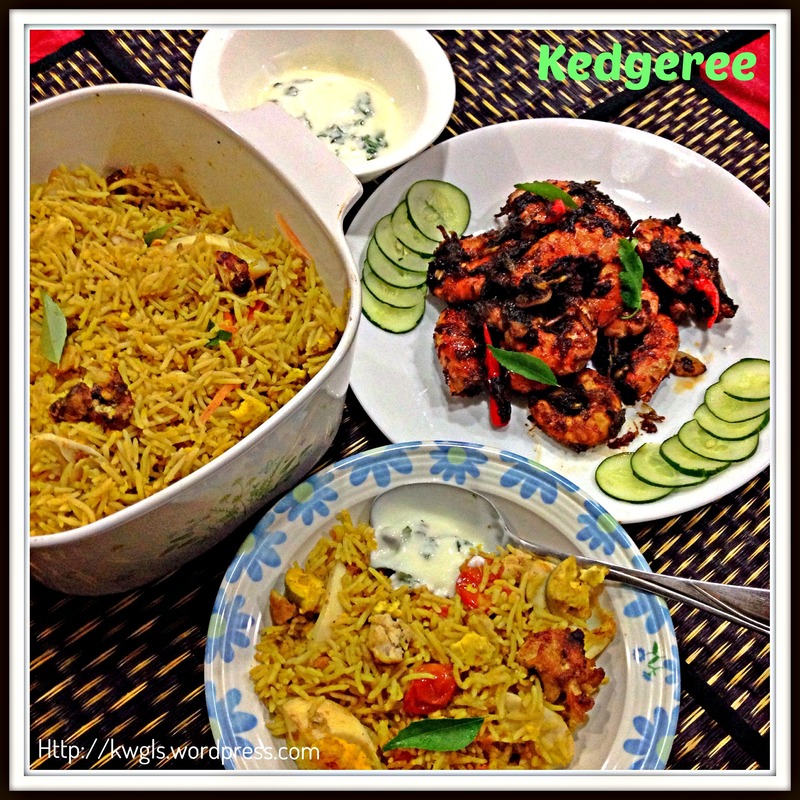 Surprisingly, the taste of the dish was awesome and if you like Biryani Rice (Nasi Biryani in Malay), you will like it. In my humble opinion, the taste is very very similar to fish Biryani. 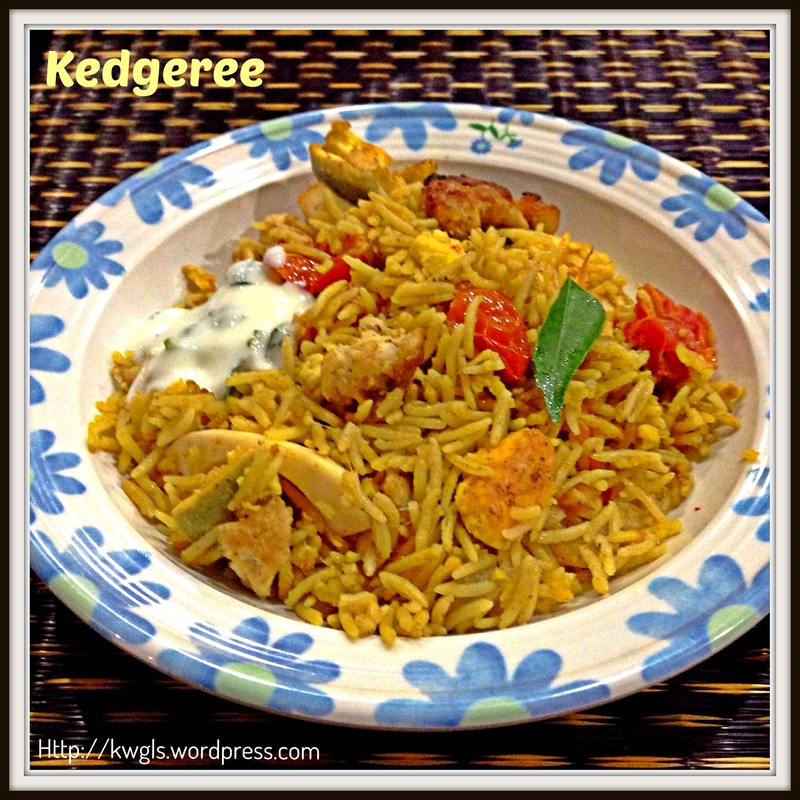 “Kedgeree (or occasionally kitcherie, kitchari, kidgeree, kedgaree, or kitchiri) is a dish consisting of cooked, flaked fish (sometimes smoked haddock), boiled rice, parsley, hard-boiled eggs, curry powder, butter or cream and occasionally sultanas. 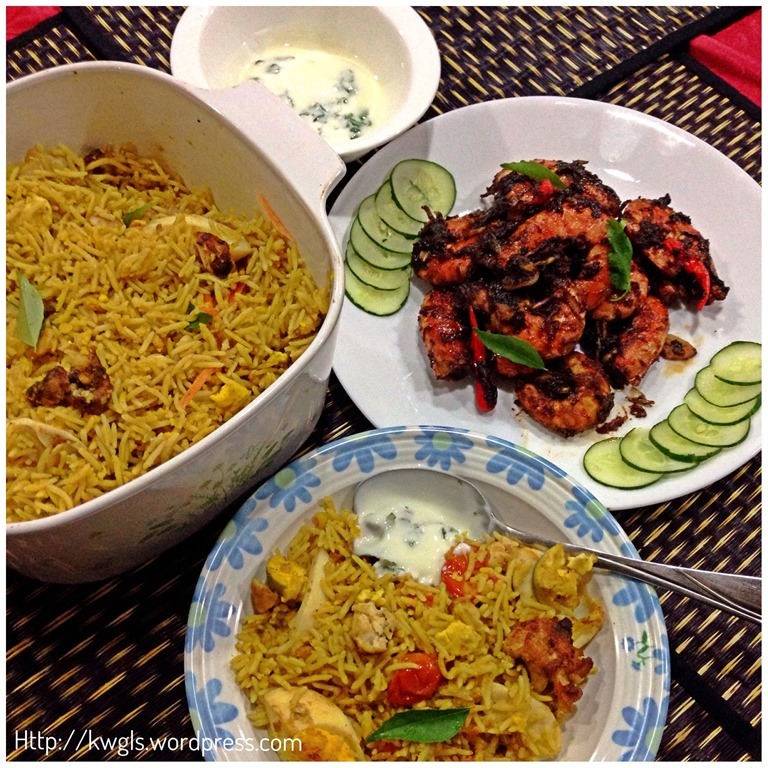 I am the moderator of a Google Plus Communities, Singapore, Malaysia and Indonesia – All About Food and one of the members Ms. Elly Yustina Ibrahim have posted this dish, Kichuri and I am very interested in her recipe. I told her that I am going to try her recipe since I have some Basmati rice at home. Basmati rice is a special long grain rice with lower glycemic index and is commonly used in the cooking of famous Biryani rice. 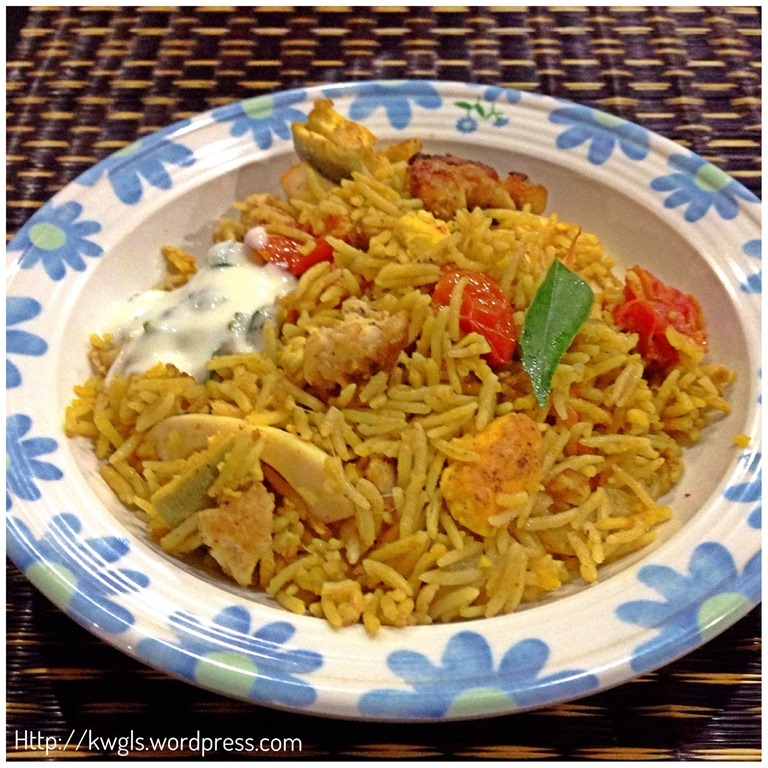 You may want to know more about Basmati rice HERE. 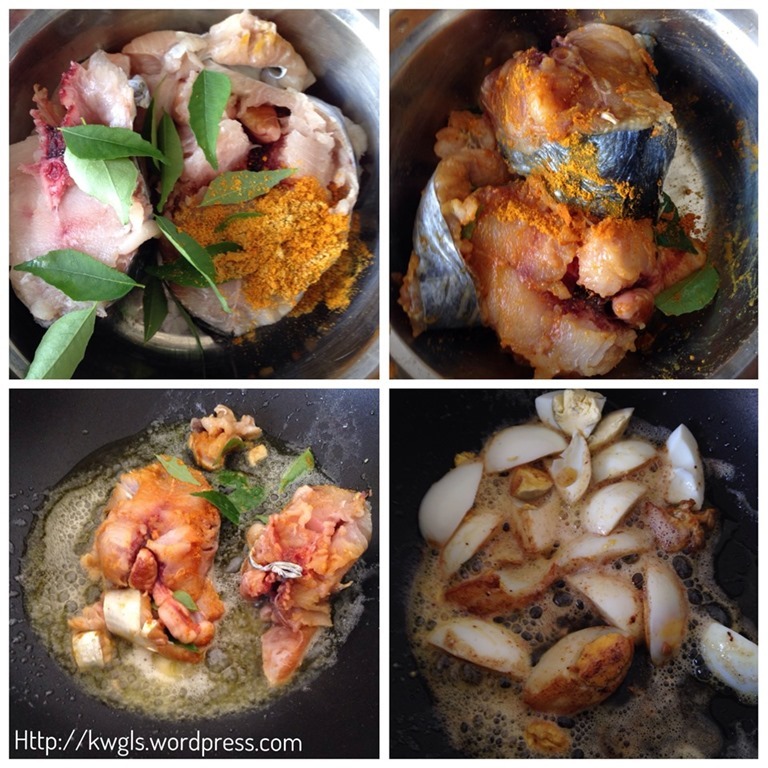 Marinate the fish fillet with some curry powder, some curry leaves, salt for about one hour. In a frying pan, put half of the ghee and pan fry the fish fillet under medium heat until the fish is cooked. Take out the fish, cool and set aside for next step. Cut the boiled eggs into one quarter and use the same oil to pan fry the eggs until slightly golden brown. Scoop out and drained the oil. 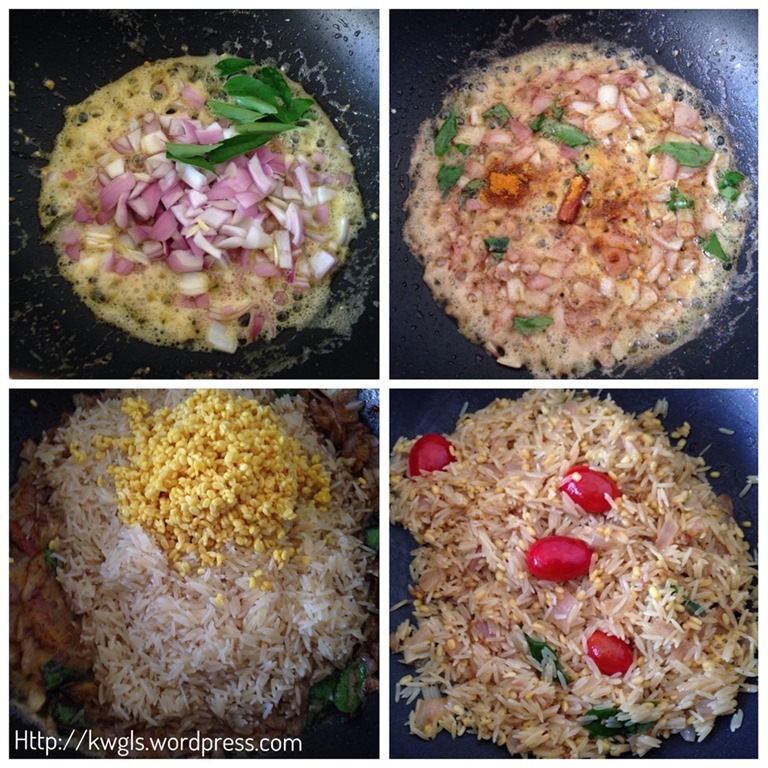 Use the same frying pan, put the remaining half of the ghee and stir fry the onion, curry leaves (or bay leaves) until the aroma of onion start to spread. Add in curry powder, cinnamon stick and stir fry for another one minute. Add in dhal, Basmati rice and stir until well mixed. Off the heat, add cherry tomatoes and transfer the rice to the rice cooker. Add in adequate water according the instructions come with the rice. For me I have added 2 cups of water for 2 cups of rice. Cook the rice per rice cooker’s instruction. While the rice is cooking, flake the fish and take away all the bones. Set aside for later use. 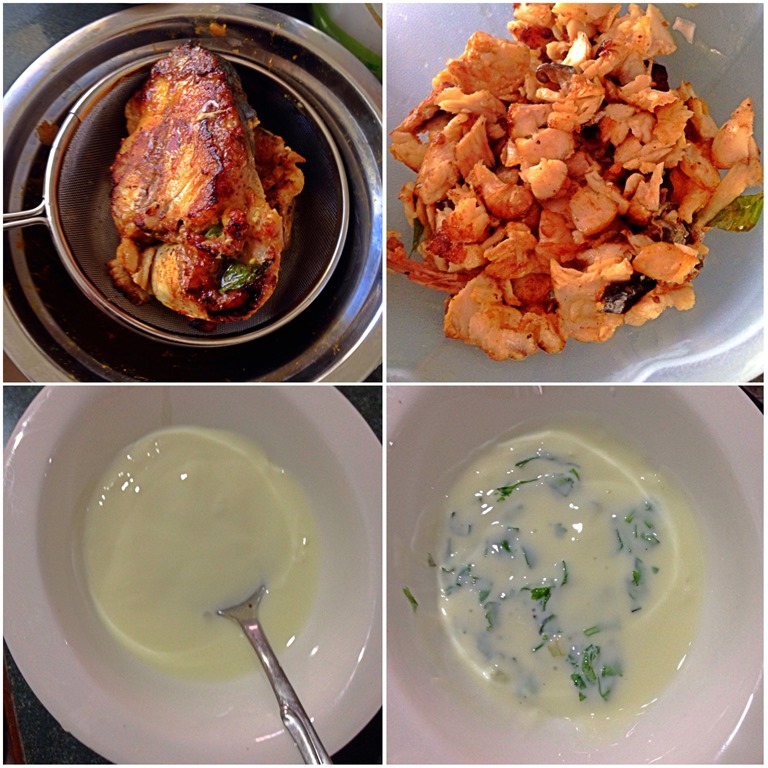 Pour the plain yoghurt into a small serving bowl and add in the chopped coriander. Stir well and set aside. 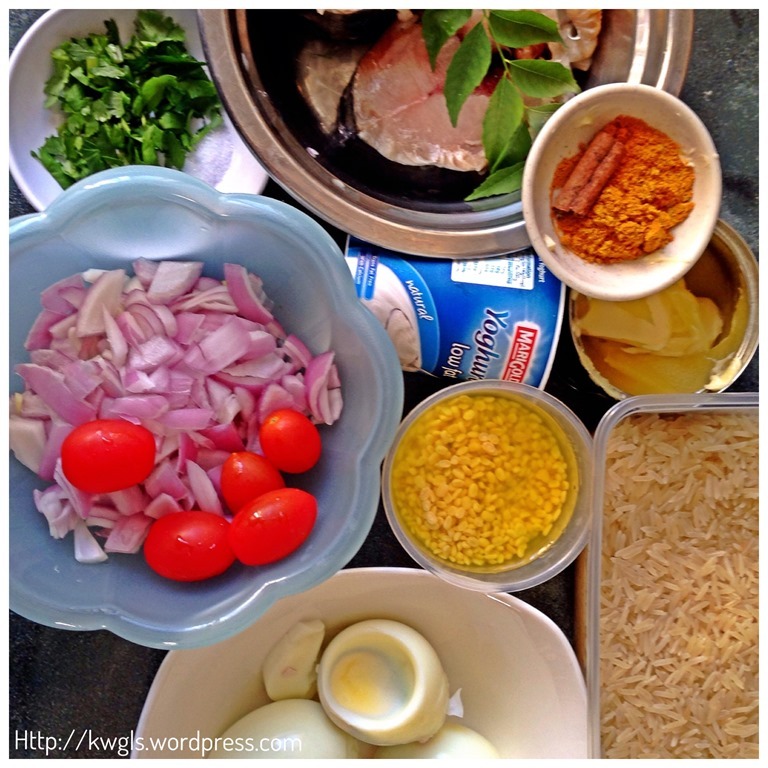 When the rice is cooked, add in the eggs and flaked fish meat on top of the rice and stir to mix well. Add in additional curry leaves if desired. If you like it hot, you can add in some chilli powder or red cut chilli. Best served hot with the yoghurt dressing. Note that as a side dish, I have prepare some tamarind prawns which I will share in another post. 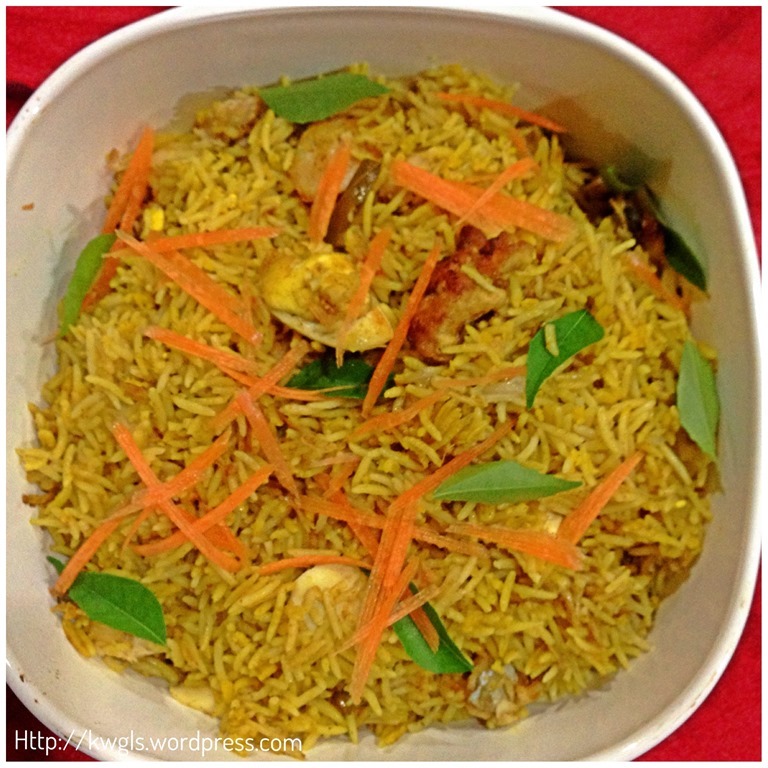 If you like Biryani rice, you will like this dish. 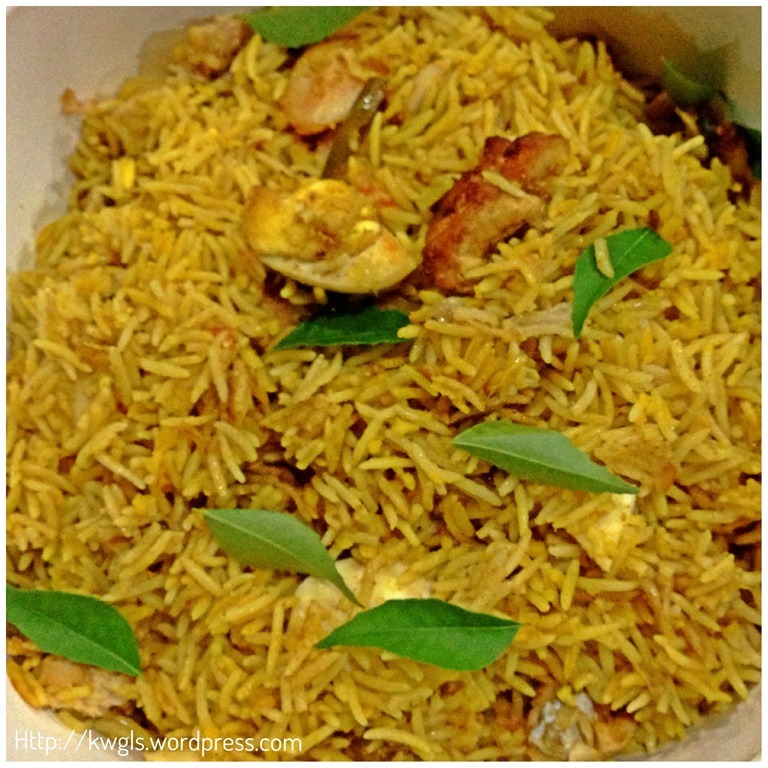 The taste is very much like fish biryani rice. 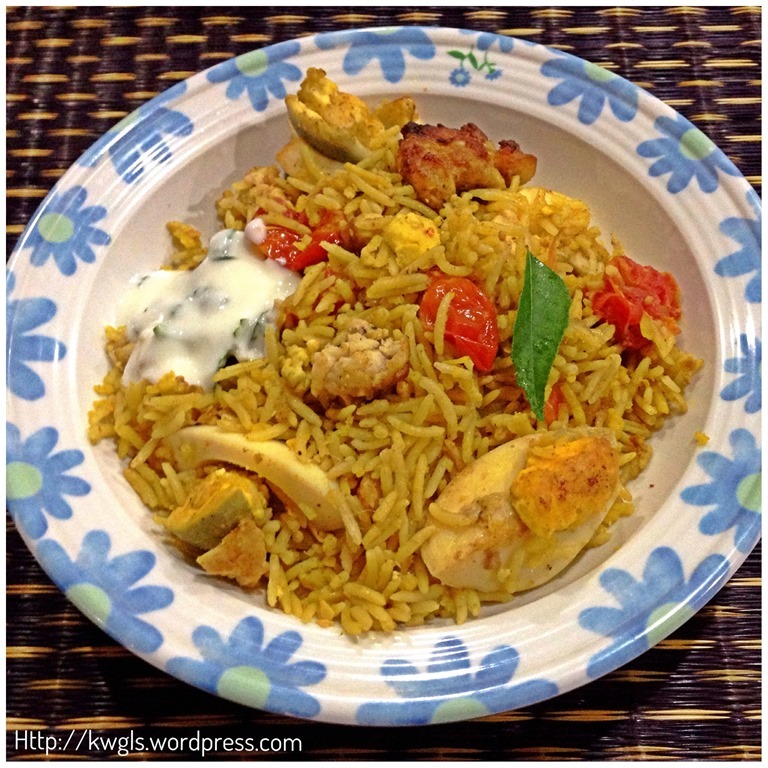 My kids were having it without any complaints and that surprised me as they have never being exposed to Indian cuisines except Korma chicken that I have cooked. 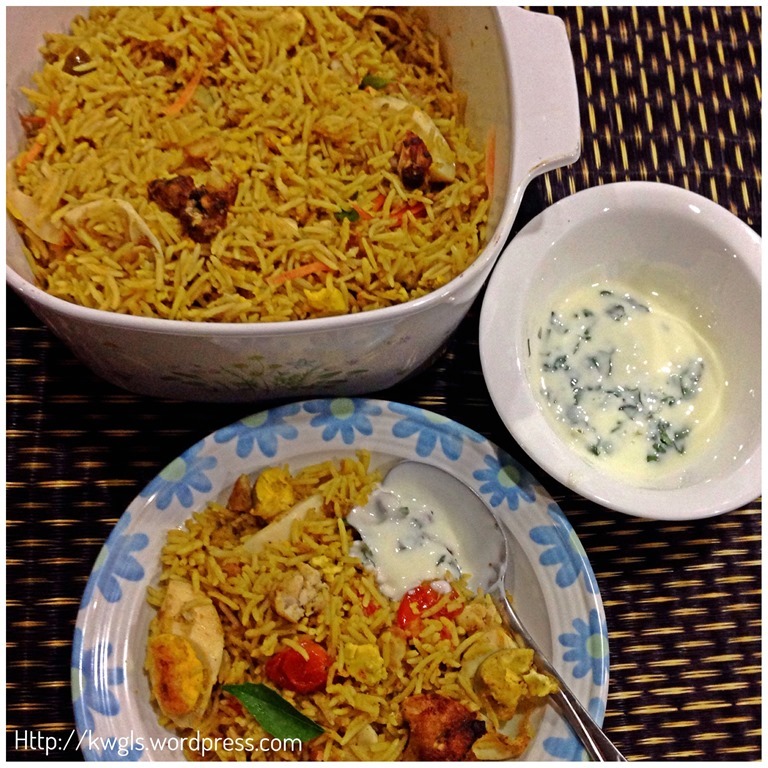 The rice is buttery aromatic because of the ghee and it goes extremely well with yoghurt dressing. 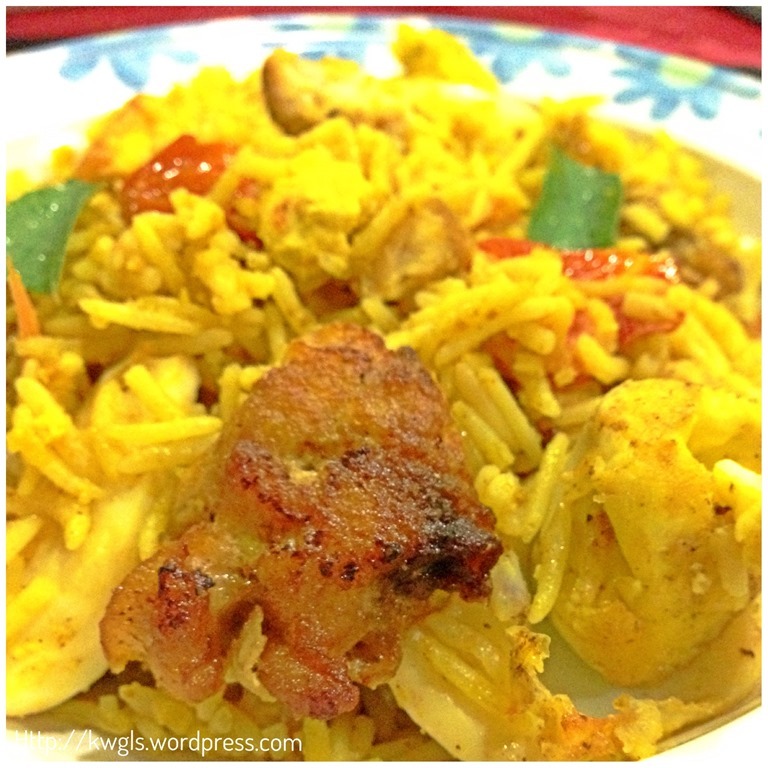 Hope you like the post today and I would not hesitate to cook this again since it is within my jurisdiction to add or minus the spices that were used and I am able to tailor it to suit my families taste buds. Cheers and have a nice week ahead. 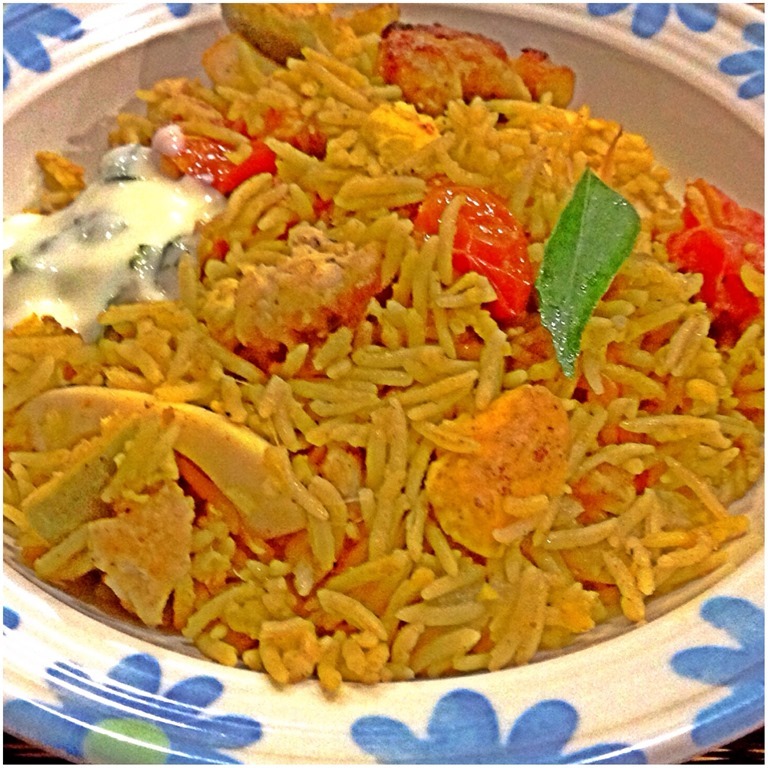 This entry was posted in Dish, Food Preparation Series and tagged 8, basmati, basmati rice, bay leaves, biryani, Curry, curry leaves, dhal, fish biryani, Indian, Kedgeree, Kichuri, Kidgeree, Kitchari, Kitchiri, Korma, lentil dhal, postady, turmerc. Bookmark the permalink. I enjoy your posts because I always learn a lot about foods that I am not familiar with preparing and a little bit of history – always fascinating. Thank you for sharing on the Four Seasons Blog Hop. Thanks for dropping by. Deeply appreciated that. Ah, nice. I think my son would enjoy this. Do give it a try. It is a very nice dish. Interesting dish. Would like to clarify on the 2 tablespoon of curry (turmeric) powder. Do you mean either curry powder or turmeric powder and if so, isn’t 2 tablespoon of turmeric a bit much? Thanks again for all your great recipes and information.